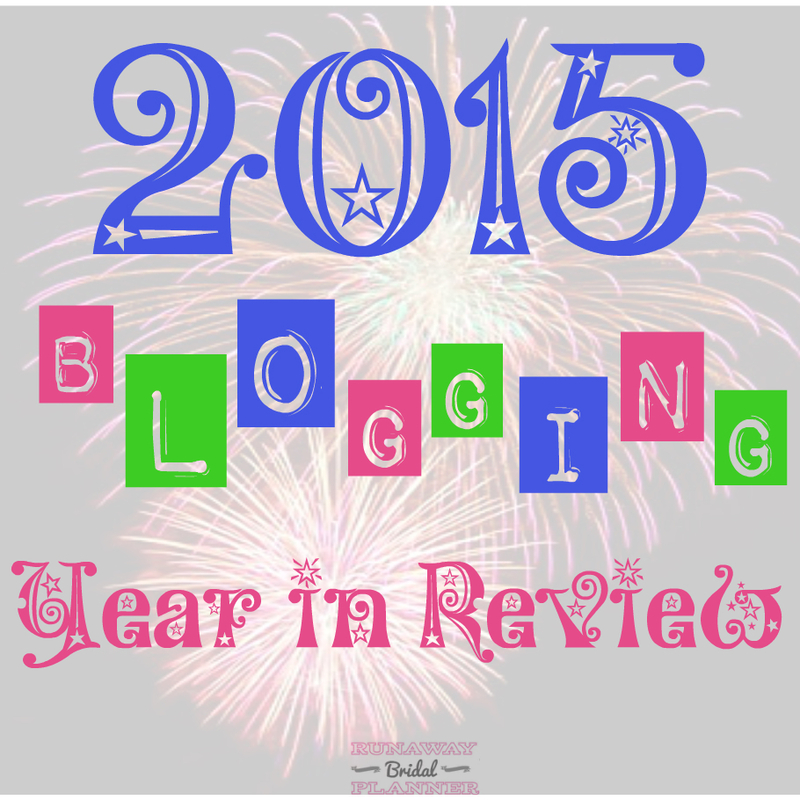 Do you look back at your blogging year in review? I've actually been doing just that over the past few weeks. As I check on things and have started making my plans for 2016, I have been jotting down some information and numbers so I can make sure I am continuing to move in the right direction providing what my readers want and like as well as the direction I want to take my blog. My most popular post in both 2015 and of all time. The only post I've created that has actually gone in what some would call viral (but I don't call it that for some reason.). Still received at times weekly/daily page views that outdo most my current posts. Its a post I wrote back in 2011 when I first started blogging and had no clue what blogging really was about or what I was doing. The post is called Royal Blue Wedding. If you want a laugh, check it out and I bet you will be like, HOW can this post still get a few hundred page views each week and sometimes more than that? What have I learned about blogging this year? #1 Sometimes the posts I create and think will do the best, rarely are. But the ones I am skeptical on or the ones I don't think will do as well, quite often are the ones that seem to get the most page views. #2 No matter what, it's best to always stay true to yourself, and do not try to be something you are not. #3 Posts with more than one image, (good quality) do much better than posts with one or no images. #5 Friendships in the blogging world are the BEST part about it. I know a lot of people blog to journal for themselves and that is totally fine. 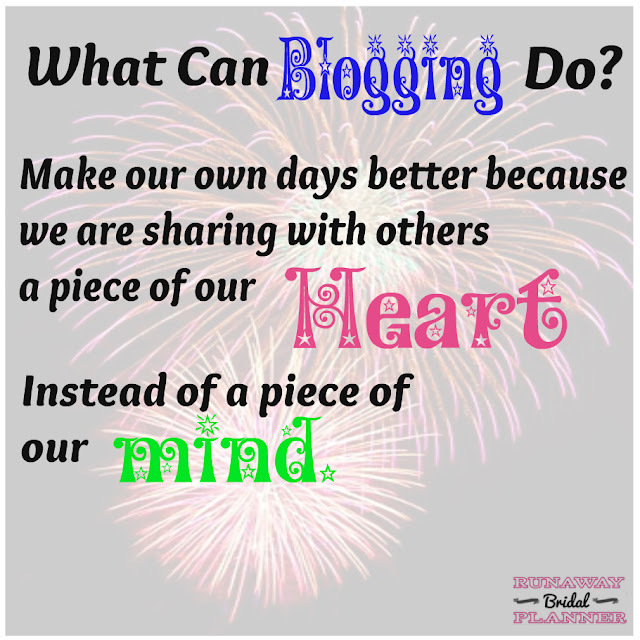 But if you are blogging to share and connect these online friendships you make with other bloggers can at times just totally make your day! My most popular posts I created and published in 2015. I was only going to list 10, but I had 4 posts that tied in page views so we are going to go with the TOP CONTENT 12 MOST VIEWED POSTS. (I will admit my giveaway posts and blog hop posts have received thousands more page views than any of the below. But thousands of people come to a blog to enter a giveaway only, it doesn't always mean they return. Which is the only reason I am not including those on this list. #11 - Who is Runaway Bridal Planner and Do I Really Want to Know Her? If your wondering, the only ones I predicted would do well on the above list are #1, #2 & #8. The rest were all a surprise that they did so well. Although I did spend a considerable higher amount of time to polish up #11 so I hoped it would do well. That one is pretty new, so it may have time still to work it's way up a little more on the list. My favorite post I created this year. By far was the one I wrote a few weeks ago called Who is Runaway Bridal Planner and Do I Really Want to Know Her? I spent a few weeks creating that post little by little. In fact I am considering making it my new About Me Page. It took so long because I formulated all of my favorite quotes into some of my favorite pictures I have taken from my travels. Additionally, I opened up and introduced the real me, more than I ever have before. In return putting it out there who I am and what I am like, with my true personality, sarcasm and all. By far the most I have exposed myself, and at the same time the most fun I have had creating a post ever. If you haven't checked it out, and you want to know why I am the way I am or who I am, check it out! Blogging goals for 2015 and how I did with them. I had a few goals this year, and some worked, some didn't get done or completely finished. But that is the beauty of blogging goals, they can always be a work in progress. #1 - Goal, build social media influence following to over 10,000. How did I do? I made it, I have just a little shy of 11,000 right now. It's been hard work, but a fun goal to work on too. #2 - Host a Grow Your Blog Hop. How did I do? Well I hosted my first one back in February and all things considered it went pretty well and those who participated fully still email me letting me know how much it helped them and how because of it they have been able to maintain it even after. I hosted a 2nd and 3rd one Oct/Nov and in my opinion those went even better as far as participation. However, because they were shorter (Only 2 weeks vs. the 1 month the first one was.) I asked around and it looks like the retention isn't quite as much as the first time I did it. Basically attributed to the shorter time, less time to get to know bloggers and establish actual relationships with them. But overall, I have been given great feedback and several bloggers who participated told me the hops have been some of the best things they have done this year for their blog. So ya, that makes me happy to hear because lets face it, they are a lot of work on my part. But worth it, if others appreciate it! #3 Post at least 3 times each week, excluding summer vacation and Holiday weeks. How did I do? Pretty well, all the way up until the end of November early December when I got sick, and hurt my back and didn't have it in me to keep it up more than once a week. But life happens so I am going to overall consider this a success! #4 Maintain a monthly blog income each month of the year. How did I do? Very well, I averaged between $150-$875 each month. December is still going, and I won't have my final numbers for the year for a couple more weeks. But December might end up being my highest month since May, so this is excellent news. Happy New Year to Me! #5 Build my blog tribe, the blogs I follow on a daily/weekly basis. How did I do, I have to admit I follow some amazing bloggers. They really do create some great content, inspire me with their lives and I thoroughly look forward to reading their posts and seeing the new things they come up with and reading about their achievements. I enjoy watching us all grow together, even if we may all have different goals and different ways to grow our blogs. When I started the year, I had a great group I followed. But life happens and about half the wonderful people I followed decided life needed to take precedence and they quit blogging. I don't blame them a bit, I totally understand. I would choose life over blogging too, if it comes to it. This year I was always on look out for great new blogs to follow. I used my own hops to reach out and find new bloggers. I don't like to follow blogs that are exactly the same as the next, I am just as versatile in what I like in reading blogs as I am with adventure in my own life. New bloggers, Experienced Bloggers I enjoy both. I run my blog alone, so obviously I only have so much time to spend daily visiting other bloggers, so yes I do look for quality, difference, great interesting inspirational fun people and bloggers who enjoy interaction. So yes, it's been a successful year, I follow some amazing people who I like to call a blog tribe of sorts, and they don't need to be mentioned all by name because they know who they are because I leave comments (sometimes way too lengthy, LOL) on a constant basis, and I seriously enjoy having them in my life. If 2016 becomes my running year again, I can't tell you how much I look forward to meeting up with some of them at different races around the country! #6 - Go self hosted. #7 - Do less paid reviews on products I may not use again. In 2013-2014 I would do paid reviews for products that at the time I thought were great. But in retrospect, they weren't things I was using before and after I used them I found I didn't try to use many of them again. Oh sure a few were fabulous, ones I use(d) and still do. Those are the only types of posts I wanted to do reviews on this year, and have to say I did succeed in this. I won't lie, it was hard turning down some easy money on what are likely great products. But this year I wanted to build a higher creditability with my audience and I couldn't do that if I kept on the track I was in previous years. I struggled with this earlier this year, I just hadn't found the best way to create images. Let's face it, images take additional time to create, and sometimes as much time as writing a post. But they can be worth more than the post when done correctly. My images may not be the best out there, but if you compare the past 3 months to my past I think you would notice a 80% improvement rate! I took a few online classes to gain a better education on this subject and they are paying off. I do think I will continue to get better at this. What do you think, have you noticed a difference on my blog on this? So, this is probably a bit too long of a post. But it really is fun to look back and see what has gone on with the blog and what goals have been made, which ones didn't. What are some of your blogging goals (if you make them) that you are most proud about? What is a goal in 2016 you have for your own blog, if you blog. One of the best things about blogging for me has been the relationships made and the amount of people I can call "real" friends! I never expected that to happen when we first started blogging! Everything else is just extra! I agree that adding good images to a post is the most time consuming part of blogging! I am super impressed with the income you are making from your blog. Great job! Keep up the good work! You've had a great blogging year! I've surprised myself about the friendships I've formed from blogging. I was not really expecting that. It's pretty cool! My blog goals for 2016 are to work on Pinterest including implementing a scheduling tool. Work on my e-mail list and create a better e-mail notification system. I'm still working on the 3rd goal! Great post! You did a great job on your goals :) I have to work on the creating better images thing so that may be one of my goals for next year. I have not really considered making money on my blog, i guess I get too nervous I can't keep up. I do try to find friends to connect with who understand the up and downs of trying to stay fit. I can't imagine having such a big following, that is huge accomplishment ;) You did well on your goals. I need to make some for my self for 2016. I love this post and now I am going to check out all those popular posts to get some tips. Congratulations on a great year and I hope the best for you and your blog in 2016.
congrats of a fabulous blogging year! I loved the hops! It has to be a hue time investment for you to keep it all on track, very impressive. I will be thinking about my goals this weekend for sure, but creating better images is definitely one of them! You have had an amazing year of blogging!! I have read most of your top blog post. Will head over and read the others. So happy to have met you this year. The blog hop was awesome! As a new blogger (I started in March), this has been a year of learning for me. You've had a great year of blogging! I'm so glad I found your blog! It has been great getting to know you better and follow along throughout the year! Love that you are a fan of the outdoors and hiking too! Looking forward to seeing what 2016 brings for you! I love this post! Congrats to you and all your blogging and other successes. You have helped many of us out there with our journeys as well. I love that I can get tips from you on both blogging AND running! Your posts flow easily and I don't get bored when I am reading them. In fact, I usually am more motivated and inspired by the time I am done reading one of your posts. Thank you for sharing and caring! I wish all the best for you in 2016!! Congrats on a great year! The blog hop I participated in was awesome, although yes some of the people dropped off. Nature of the beast I guess. When I started my blog I thought I was journalling and expected nobody to read. Could not agree more that for me the relationships gained are the best part! Happy New Year! PS I've got a crazy viral post I wrote in 2012 about slutty brownies. Did not see that one coming! It was a great year for you Kristy! I have told you before but I've learned so much from your Blog Hop it is no wonder it did so well. I too had more fun creating my "spotlight" post. I think it would be great to do one every now and then for new readers ya know. I'll be back to revisit some of these posts I may have missed. As always I appreciate you supporting me and hope you too have a great New Year! What a fabulous blogging year you've had! I've never made a penny on mine, so I'd love to figure out how to do that next year. I absolutely love the friendships I've made through blogging too! Love your blogging goals! I need to create some. I'm definitely going all in right now :) P.S. That's hilarious about the Royal Blue post. I agree that sometimes I have no clue why certain posts get more hits than others- ones that I usually think are better! I know, I am totally right there with you on that, I never would have thought I would have found friends like you through blogging, it's seriously one of the best and most fun things that have come from it. Thanks Meranda! Have a great New Years!!! I know I hear you on that, the friendships were extremely unexpected but now are one of my favorite things about it. Good luck with your Pinterest goal, I really need to make Pinterest more of a priority next year, it's such a great tool! Good luck coming up with your 3rd goal:) Happy New Years Julie!!! I hope you have a wonderful New Years!!!! Thanks Rebecca! You know, you have a pretty good following I know if you wanted to you could start pulling in a little money each month. You definitely should look into signing up with a blog ad network in 2016 and give it a try if your interested in making a little extra cash on it each month!! Happy New Year my friend! Thanks Caroline! I was hoping you would get back into blogging, I have popped by a few times to see if you were back yet. Maybe things will calm down and you can get started back up in 2016. So glad to have met you during the hop!!! Oh, you should totally look into it. Especially if you have a social media following, literally most of it only takes me 1-5 minutes a day to do, it's never been an issue to get behind on it, when I work with ad networks, they make it super easy and simple to do. If it's something you're interested in, you should totally look into if next year, yo might find you enjoy a little extra cash each month. Happy New Years Karen!!! Thank you! I've enjoyed getting to know you better over the past few months, look forward to more in 2016!! Hope you have a wonderful New Years!!!! Thank you MB!!! I have a very detailed calendar system, and I work ahead and fit things in between breaks at work so I don't start letting blogging take over my entire life, LOL But I will admit during some of the hops I was up at midnight catching up, LOL LOL Hope you have a wonderful New Years my friend!!! Thank you Deborah! I truly enjoy connecting with you too, I just love your blog and I very much think of you as a great blogging friend! Looking forward to seeing what you come up with in 2016 on your blog too! Have a wonderful New Years!!! I am so happy to of met you this year too! I loved your blog from literally my first visit, you are so active and into so many different things I just imagine you are such a fun person in real life too! I did not realize you only started blogging in March, you've done awesome in such a short time, seriously your posts don't say "new blogger" at all, they are awesome! Looking forward to seeing what you come up with in 2016! Hope you have a fabulous New Years!!!! Thank you!!! You just made my heart happy with your comments! I am so glad I don't bore you, LOL I often wonder if I do bore people because just like in life I like to write as much as I like to talk ha ha ha... I always make goals to shorten my posts, but it's not one I have excelled much at, LOL Maybe next year, right! 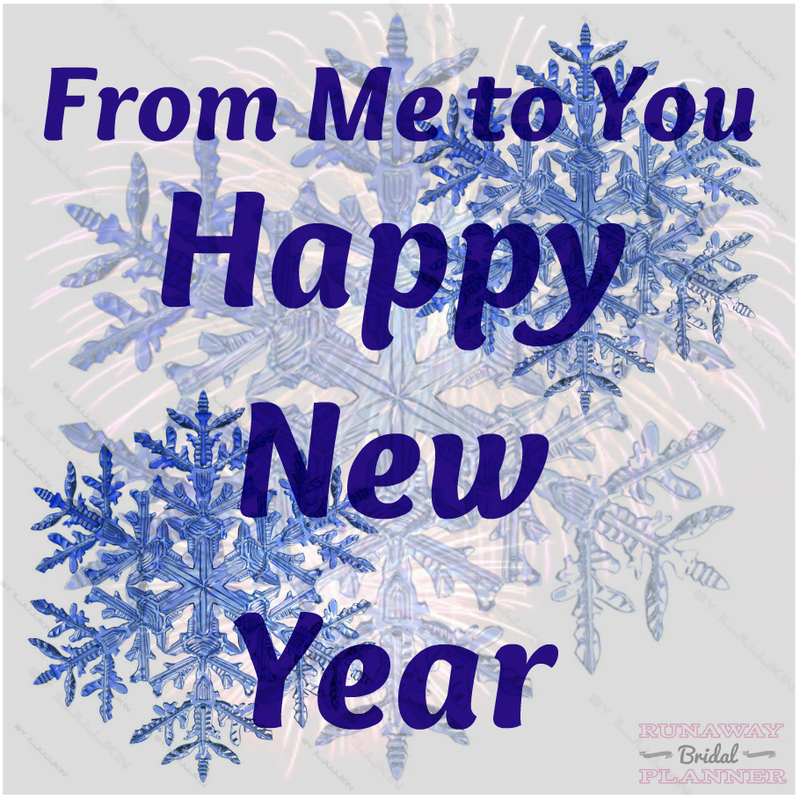 I have enjoyed connecting with you, and I too love your blog and can't wait to see what things you write about in 2016. Happy New Year my new friend! I know, isn't blogging fun and crazy that way, I love it! Oh my gosh, you so amaze me with all you did with your blog and as a med student. I think your other life goals you accomplished are much more important!!! Happy New Years Farrah!!! I actually started blogging as a way to journal for myself and my family to read about a goal I was working on, and lets just say a lot has happened since those days in 2011. But the relationships, although unexpected originally have truly become one of the best parts for me too! And that is hilarious about the slutty brownies, LOL LOL I totally see why that went viral, but ya I agree at the time you probably had no idea. Great post title for it though, LOL LOL Have a wonderful New Years Marcia!!! I have really enjoyed getting to know you this year, I just love your blog and blogger personality:) Looking forward to seeing what you come up with in 2016! Happy New Years my friend!!! Katie, you totally should look into signing up with some blogger ad networks and whether you use your blog directly or social media you would totally love the little extra cash that can be easily made, with not much extra time to do it. Especially with your HUGE adventure you will be going on next year, who knows, you might want a little extra cash during all the travels:) Hope you have a Wonderful New Years!!! You totally should go all in, you have a great blog!!!! Ya, the Royal Blue post was/is seriously funny at how well it has done and continues to do, LOL The internet is crazy that way, but fun too!! Hope you have a wonderful New Years!!! I love posts that give more personal information about the blogger so I really get to know them. Your favorite post from last year was one of my favorites too. We don't have blogging goals, except to enjoy blogging and continue meeting/interacting with other people with similar interests. We have so enjoyed making "friends' from blogging and love meeting these people IRL at races etc. 2016 is a year that I have one very small goal and that is to improve my upper body strength. And I;m going to read your Royall Blue post now.